Listen To IAMSU! 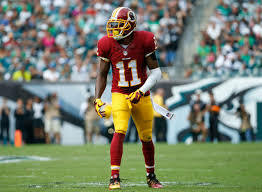 & HBK CJ's New Party Cut "Up All Night"
Washington Redskins wide receiver DeSean Jackson will document his life off the field with the six-episode BET docu-series “DeSean Jackson: Home Team.” DeSean, and his brother Byron Jackson, serve as the show’s executive producers. The show will detail the life of the 28-year-old star as he takes on the challenges of his adult life. But Byron does explain that there were things that were off-limits for viewers. The series is set to premier on BET at 8:30P/7:30C, make sure to tune in.